Fine Dining, the religion of authenticity begins from right here! Located at the hotel’s lobby, AROMA is a fine dining restaurant which has its own special flavors to suit your taste buds. Each dish prepared with great perfectionism, such that, it is impeccable for sinful indulgence. Authentic Indian and oriental food is deftly prepared at our restaurant under Chef’s watchful eyes, so that, even the minute of detail with respect to the choice of food for your pallet is well taken care of. 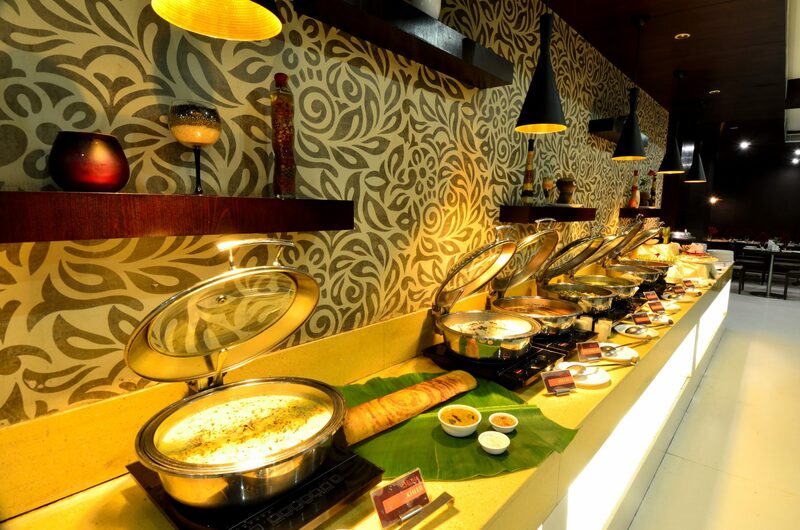 Aroma restaurant has a total capacity of 80 people at a time for a distinct dining experience. The restaurant menu ranges from sizzling dim sums, falafel, thai rolls, wholesome noodles soup to inspirational wok stirred specials. Chef’s recommendation from this includes Sizzlers, Shawarmas,Tandoori platters, Paneer Butter Masala, Dosa, Mushroom Lababdar and many more mouth watering delicacies.. The wide range of luscious food presented by us, includes, delicious Indian dishes , mouth watering Oriental and a very special Continental and Chinese food. Our restaurant is famous for the happening environment, sophisticated gentry, perfect sitting arrangements which are the main features to count it as an ideal place for family outing. The warm reception and courteous services are the identical symbols of the way we welcome and treat our guests. AROMA has its fragrance that will not only rejuvenate the dining experience but also to serve you the best of tastes and delicacies.